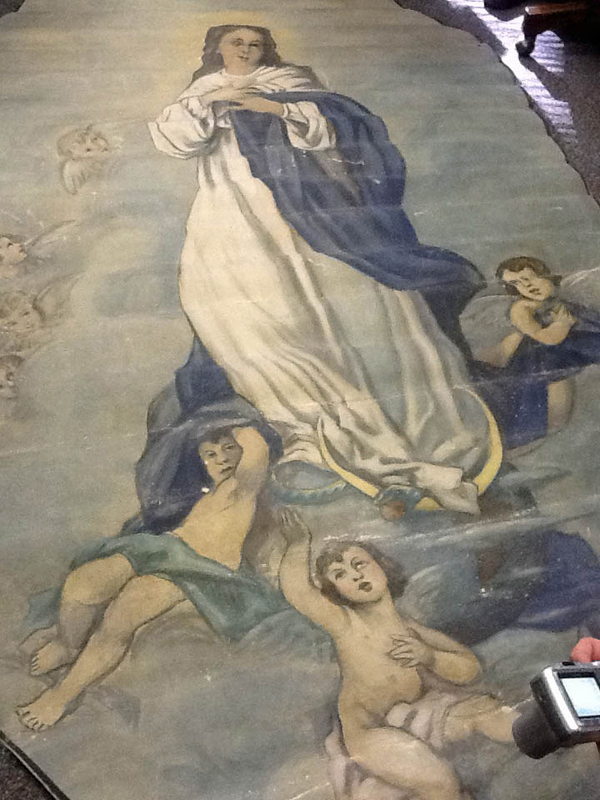 On Thursday, July 26, 2012, two 6’ by 9’ oil-on-canvas hand-painted murals from the ceiling of the demolished St. Vincent de Paul Lithuanian Catholic Church in Springfield were seen for the first time in almost 40 years. These renderings of “Jesus in the Garden” and “The Immaculate Conception,” would have been familiar to parishioners of the church, which served Springfield’s Lithuanian-American community from 1908 through 1971, and was demolished in 1976 after various items of artistic or sentimental value were removed. Mike Lelys, whose father, Constantine Lelys, left him the two murals, invited Bill Furry, Sandy Baksys and Ted Gietl to unroll them and assess their potential for restoration and official archiving in memory of the church and what it meant to so many. 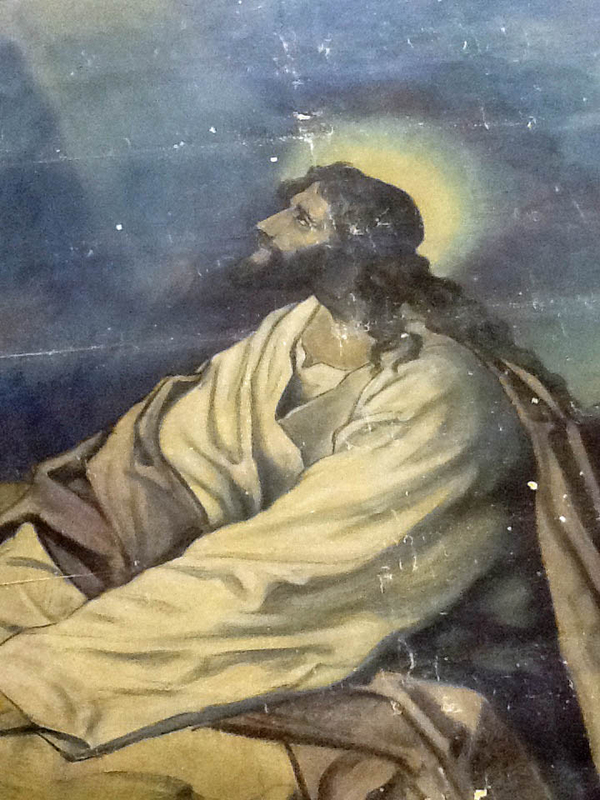 The murals were painted and signed in the 1920s by the late Max Autenrieb. The Autenrieb family still operates a church interior decorating company in Edwardsville, IL (see churchinteriordecorating.com ). For updates on the murals and location / archiving of other items from the church, please check back with our blog. You can also sign up to receive new blog posts.